The University of Southern California (USC), founded in 1880, is located in the heart of downtown Los Angeles and is the largest private employer in the City of Los Angeles. 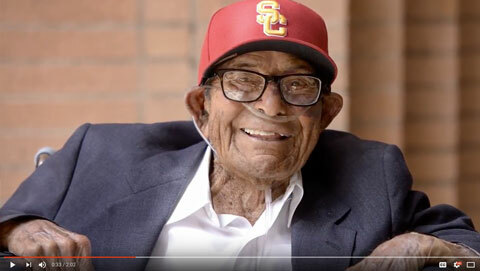 USC is consistently ranked among the nation’s most prestigious universities, and the USC Leonard Davis School of Gerontology features one the world’s best degree and research programs in gerontology. 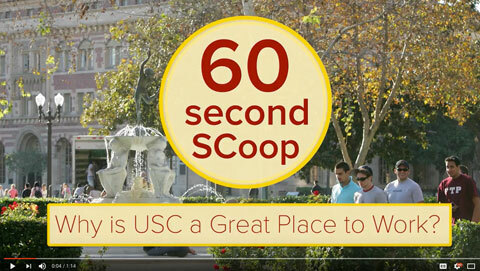 The USC Davis School has an international reputation as a hub of aging research and, with additional strong programs throughout the university, leads the way in defining and advancing the field of gerontology. The past several decades have witnessed remarkable progress on elucidating the disease mechanisms of the brain. Imaging technologies have allowed scientists to map neural network dynamics in exquisite detail, with noteworthy consequences for medicine and society. The Irimia Laboratory in the Davis School of Gerontology (http://www.andrei-irimia.com) leverages neuroimaging, electrophysiology, cognitive neuroscience, machine learning, engineering techniques and mathematical approaches to study the brain aging in health and disease. We have made substantial discoveries on the reorganization and plasticity of neural connections in health, after brain injury and in neurodegenerative disease. The laboratory seeks a postdoctoral research scholar with good interpersonal skills who is self-motivated and can work independently. Because our research is interdisciplinary, interesting projects are available for scholars with scientific backgrounds ranging from neuroscience to engineering, physics, psychology, computer science and mathematics. A PhD or equivalent doctorate in a STEM discipline is required for this position. The ideal candidate will have expertise in multimodal structural MRI and CT, strong skills in image processing (particularly registration, segmentation, surface modeling, voxel-based morphometry), experience with neuroimaging analysis (FreeSurfer, AFNI, FSL, SPM or similar) and statistical analysis (SPM, SPSS). Excellent scientific writing skills and a strong publication record are highly desirable. Solid programming skills (MATLAB, preferably) and working knowledge of Linux are essential. The successful applicant will be able to work independently with a small amount of supervision and should demonstrate good interpersonal skills as well as an interest in collaborative research. A PhD or equivalent doctorate in neuroscience, neurobiology, engineering, biophysics, computer science or applied mathematics is required. Applicants with degrees in related fields will also be considered, and individuals with strong quantitative and computational backgrounds are particularly encouraged to apply. A strong interest in building an outstanding publication record is essential. If you are interested, please submit your application. Please include a cover letter and resume with references. Thank you for your interest!